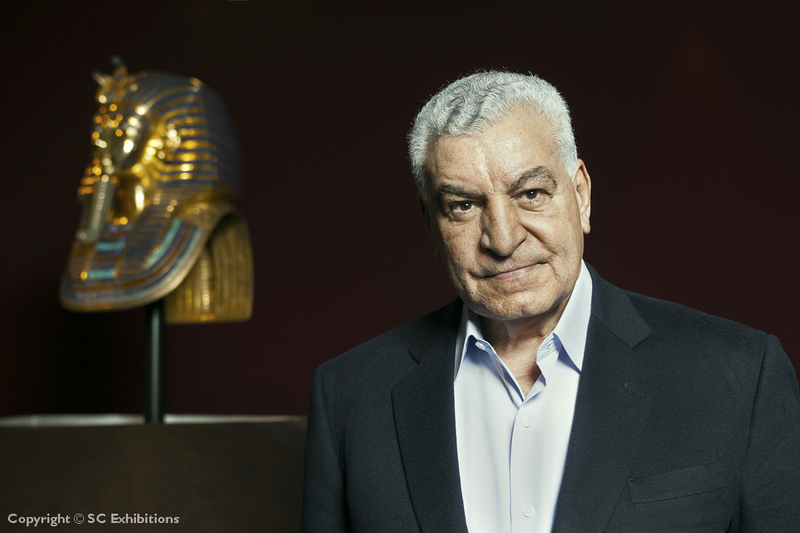 Famous archaeologist and Egyptologist, Dr. Zahi Hawass will give a lecture at the Grand Rapids Public Museum on Tuesday, January 12, titled Pyramids – King TUT and Cleopatra – Recent Discoveries as part of The Discovery of King Tut exhibition. Zahi Hawass is one of the most famous archaeologists and Egyptologists in the world. Countless excavations, research projects, publications, television documentaries and lecture tours have made him known to a wide audience. Up until the political upheaval in Egypt in 2011 he was the Secretary General of the Supreme Council of Antiquities. Over the course of the approximately 90-minute multimedia lecture, Dr. Zahi Hawass will, in addition to Tutankhamun, take as his subject matter the search for the tomb of Queen Nefertiti, share new insights on the tombs in the Valley of the Kings and the exciting research into the tombs of Cleopatra and Mark Anthony. The lecture will introduce the mystery of the great pyramids and the Sphinx as well as the discovery of the tombs of the pyramid builders. The lecture will also include the discovery of the family of King Tut and the mystery of the golden king’s sudden death, as well as the discovery of the mummy of Queen Hatshepsut and the search of Queen Nefertiti’s mummy. The lecture will take place in the GRPM’s Meijer Theater at 7 p.m. A book signing will take place after the lecture.